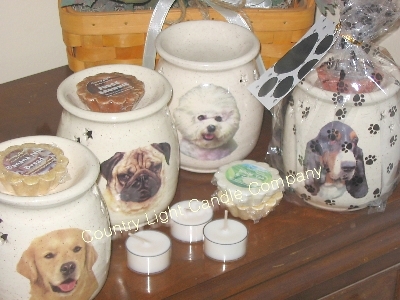 They have several tart burners for dog lovers to choose from at Country Light Candle Lover. Each stoneware tart burner includes a photo of your favorite canine along with star cutouts. If dogs aren’t your thing, there are a few cat tart burners as well. There aren’t too many to choose from, but if you want a grey tabby or a Siamese cat tart burner, you’re in luck. To view the Paw Prints Dog Breed Tart Burner Kits, visit Country Light Candle Company.